Lindsay LaBelle and husband David LaBelle left rural Michigan for college and didn’t come back. They earned degrees at Ferris State University and got married. Lindsay took her first professional job as an optometrist in West Bloomfield, and David, a nurse, accepted a job in Novi, both Detroit suburbs. They settled into a home among the subdivisions and freeways of Metro Detroit, just 75 miles but a world away from the close-knit St. Clair County community where they grew up. That’s where the all-too familiar story would have ended, if not for a first-of-its-kind program in three counties that flipped the traditional scholarship script. Instead of giving students money to go to college, the program gives college grads money to come home. Rural Michigan begs for workers. A few companies are getting creative. Could the answer for first-generation Michigan college students be a bus? 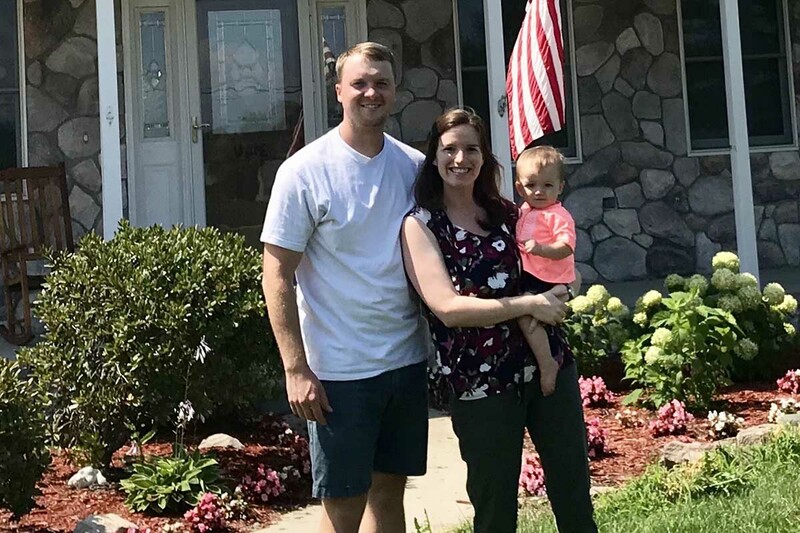 Today, the young couple and their 14-month-old daughter Abby live in Fort Gratiot Township, north of Port Huron. Lindsay gets a total of $10,000 to pay on her student loans, and St. Clair County gets two more desperately needed college graduates. First tried in Michigan’s St. Clair, Huron and Sanilac counties in 2016, so-called reverse scholarships are now popping up around the country as a means to slow brain drain in rural America. Just 13 percent of county residents age 25 and over have a bachelor’s degree or higher in Sanilac County; 15 percent hold a degree in Huron County, and less than 18 percent in St. Clair. That’s far below the bachelor’s degree or higher attainment rate of Michigan (27 percent), which is itself below the national average (31 percent). In Michigan, 27.4 percent of adults have a bachelor’s degree or higher, but that rate varies wildly between counties. Foundations in three counties in Michigan’s thumb are paying college grads to return home after earning diplomas as a way to increase the percentage of adults with degrees. That matters to the state economy because college grads make almost $1 million more over the course of their careers than those with just a high school diploma. Michigan ranks 36th in college degree rate, and 34th in income. Michigan didn’t make a list of 20 finalists for a second Amazon headquarters in January partly because the state wasn’t perceived to have enough college grads for the jobs that would be created by the new business. Communities in northern and rural Michigan struggle to get teens to enroll in college. But rural communities pay a steep price for increasing college enrollment; Few rural students who go away to college come back to their hometowns to raise families and start businesses. In 2014, business leaders and community foundation officials in the three counties along Lake Huron in Michigan’s thumb came up with a novel approach: awarding scholarships after college, instead of during a students’ freshman year. That way, they could still offer aid to attend college, but focus some of the money as a way to lure grads back to their home counties, where businesses complained they couldn’t find college-educated employees. Here’s how it works: College grads from St. Clair, Huron and Sanilac counties apply for a scholarship from the community foundations in their home county; recipients have to be college graduates and living outside of the region. Winners are given scholarships of amounts up to $15,000 to apply to student loans to come back to the region. They’re required to find a job back home within six months. You can read about the reverse scholarships offered in St. Clair County here, Huron County here; and Sanilac County here. It turned out to be more complicated than Maiers imagined. Because of nonprofit regulations on community foundations, the reverse scholarships couldn’t be handed out until a local unit of government declared a shortage of college-educated workers. In addition, the scholarships are considered taxable income for the college grads because the recipients are no longer in school, a problem that hasn’t been resolved. In 2016, two years after the initial idea, the first scholarships were handed out. 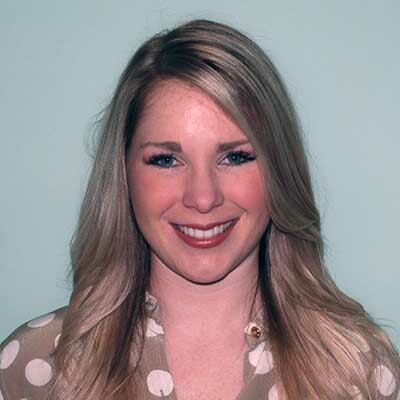 One went to Chelsea Khabbaz, a Port Huron native who’d settled in Oakland County working at Beaumont Hospital after earning a degree at Michigan State University in medical laboratory science. Khabbaz also now lives in Fort Gratiot Township and works at McLaren Hospital in Port Huron. That’s gratifying to Melissa Anderson, executive director of the Community Foundation of Sanilac County. “People would come back if they could afford to come back,” Anderson said. “You don’t want to come back home and have to live in your parents’ basement because you have college debt. Our goal is, if we can lessen the burden until you are established, you’re out of your probationary period at your job and gotten a raise or two, then maybe you’ll stay, you’ve developed a life here. The concept has spread to rural communities in other states, and according to Maiers is being studied by seven additional community foundations in Michigan (Allegan, Barry, Berrien, Branch, Petoskey/Harbor Springs, Lenawee and Manistee). St. Clair’s community foundation had eight or nine applicants in 2016, the first year the “Coming Home” scholarships were offered; this year, the foundation has received more than 20 applications. Khabbaz said she doesn’t know if she’d have ever moved back to St. Clair County without the reverse scholarship. “If we had enough funding to bring home 10 college grads a year, and maybe their spouses, that would make a difference,” Maiers said. It’s made a difference for the LaBelles. Lindsay LaBelle found a position as an optometrist similar to what she had in Oakland County, and David LaBelle is a nurse at McLaren. I totally love this story and THANK YOU Bridge, for your focus on rural America. I'm a college grad with no interest in living in a big city, but it's so hard to avoid with college debt hanging over your head! I love this idea. Bingo! Shoveling money into higher ed so kids can graduate and move to Co. Ca. Il or anywhere else is insane and a crappy deal for the tax payers! State should revamp all aid to higher Ed to make this objective top of the list! Then counties and other local government units can join in to sweeten the pot even further to help those who move here or stay here! Also, you've repeated the previously unsubstantiated line that Amazon didn't come here because of a shortage of college grads, please show us where anyone from Amazon said this. The article (yours) that you link to just repeats this saw and does not reference anyone ... or is this just some Bridge staff's dogma? I do not see where this is Bridge Staff Dogma. When public reports came out saying Amazon would not relocate to Michigan and one of the reasons why was Michigan's poor education system and college graduate ratio's, I do not remember Amazon publicly denouncing it. I think this is an idea that would work on a state wide basis not just three counties. As simple and stupid as it sounds, the passage of the recreational cannabis legislation will be as big a lure as most these other programs. Kids are tired of backwards thinking even if they don't smoke. We pay them to leave, it makes sense to pay them to return. Michigan has great schools which educate students throughout the nation . Sort of reminds me of the TV Northern Exposure, when they demanded the doctor come to Alaska because he took a scholarship. We should do the same here as incentives to rebuild Michigan.